Hopefully, you’ll go your entire life without needing advice on what to do after receiving a traffic ticket, after all, the best way to avoid needing this advice is not to break the rules of the road. However, accidents do happen, so if you do find yourself being written up, here are a few tips on what to do next. The primary factor that is going to affect your next steps, after receiving a traffic ticket, is the traffic laws of the state and county where you were pulled over. Once you’ve been written up, it’s always a good idea to look into how the traffic court in the jurisdiction where you were pulled over handles the violation you have been accused of. States have different laws regarding different traffic violations and you can find this information on the DMV website for your state. To find out when your fine has to be paid by, you can call the local traffic court or visit the website of the jurisdiction from which the ticket was issued. If a website is available, it should list the traffic citations by code and what fines are associated with them. Once you know your citation code and fine amount, you can either pay it on the spot or contact the local traffic court to find out how long you have before payment is due. You can make a bad situation much worse by not paying your traffic ticket on time. It’s important to pay on time because, if you don’t, you could be subject to fine increases. Some states give you the option to attend traffic school if this is your first traffic ticket. 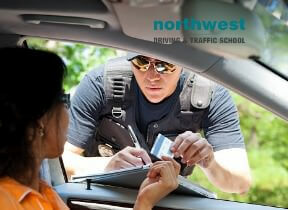 Attending traffic school and receiving a certificate of completion will reduce the points on your driver’s record. If you don’t pay your fine by the due date, the traffic court can request that the department of vehicles suspend your driver’s license, additional fines may be imposed, and eventually, a warrant for your arrest may be issued. If you strongly believe that you were wrongly given a citation or traffic ticket, you do have the option to fight that ticket in traffic court. If you do choose to fight your ticket in court, it is always a good idea to get a traffic court attorney to help with your case. Most traffic attorneys will be able to tell you after, brief consultation, what your chances are of having a traffic ticket overturned.